This quick and refreshing salad is ideal for people who don’t like the after-taste of raw onion. It comes from a useful little book called Seasonal Salads by Paddy Byrne and David Scott, founders of the renowned Everyman Bistro in Liverpool. “Raw beetroot and cooked beetroot have very different flavours and texture and this salad cleverly makes use of both,” they say. Reserve a little of both types of beetroot and mix the remainder with the apple. Add the lemon juice, oil and salt and pepper to taste and toss the salad. Mix the lemon peel with the reserved beetroot and use it to garnish the salad. 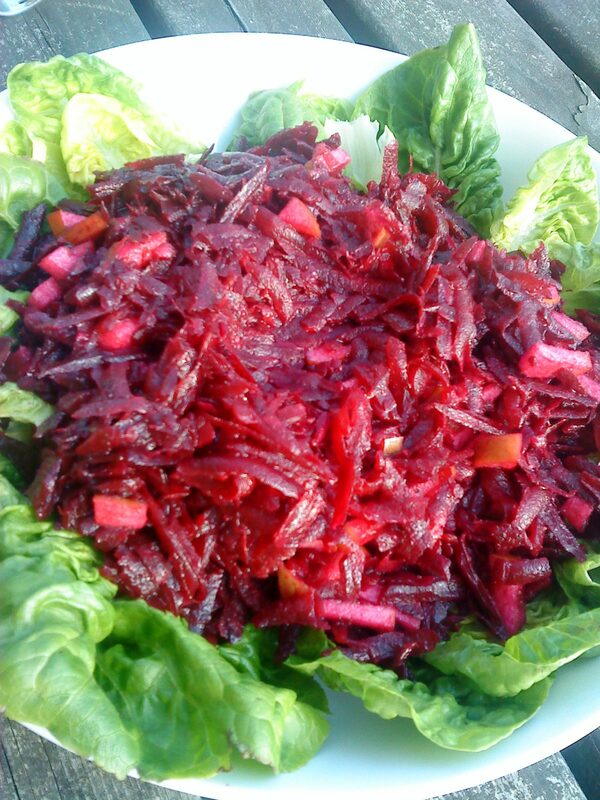 Those people who don’t care for the taste of raw beetroot could try it with just par-boiled beetroot. Cook raw beetroot in plenty of water until the outer skin will just rub off. Now drain them and cool under running water until they are quite cold. The centres remain bright red and crisp while the outer areas are softer and a darker ruby red. Grate the beetroot and continue as directed in the recipe. 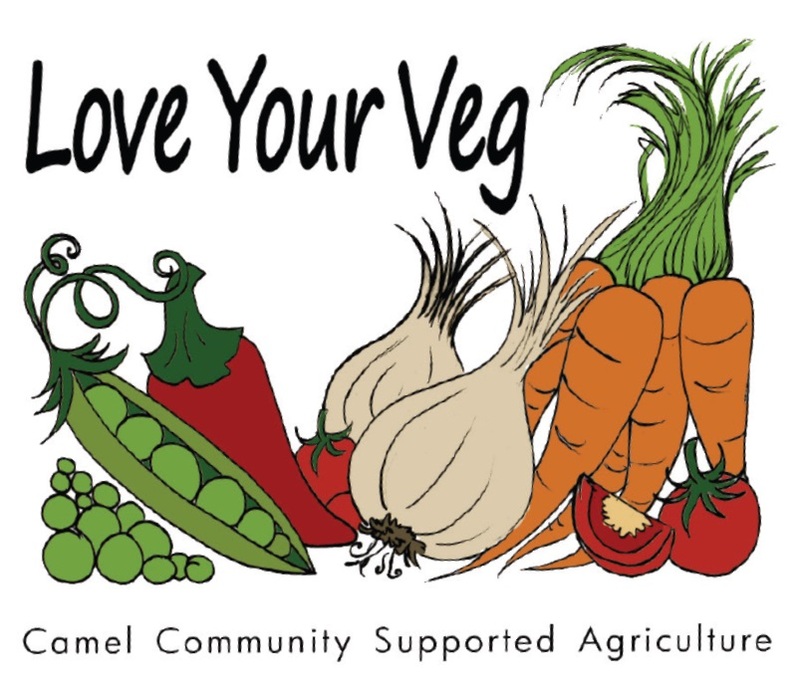 Try these other beetroot dishes from Camel CSA’s recommended recipes.